Bright Starts Pink Bounce-A-Bout Baby Activity Center Review & Giveaway CLOSED! I know that when my kids were babies, they loved being in their activity centers. Activity centers for babies offer stimulation that your baby needs. Then with the movement that the activity centers have, it helps strengthen your babies little legs and prepare them for walking! I was given a Pink Bounce-A-Bout Baby Activity Center to review, courtesy of Bright Starts, to review for my readers. This adorable activity center has it all and is perfect for the little princess in your life. From all of the fun little bugs that stretch and are fun to play with to the silly lady bug mirror that makes fun sounds. This activity center is bound to keep your little one busy for a while! There is a reach bar with toys to hang from it, then the pad where your babies feet go is soft so it makes it comfortable and easy for your little princess to spin and bounce with those cute little delicate feet. There a three adjustable height settings, the tray is washable, and the seat pad is machine washable. 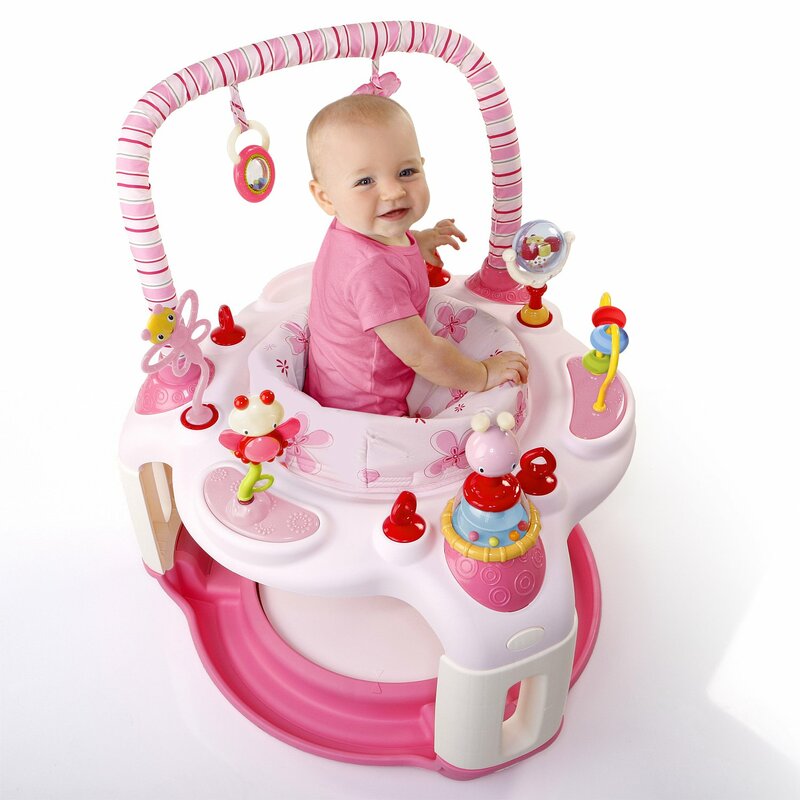 The Bright Starts Pink Bounce-A-Bout Baby Activity Center is full of fun and your baby girl is bound to love it!! I am giving one of my awesome readers a Bright Starts Pink Bounce-A-Bout Baby Activity Center!!! 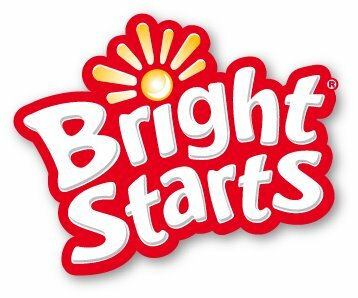 Like Bright Starts on Facebook. Then come back here and leave me your email with this entry! This giveaway is open to US residents. This giveaway will end at midnight on April 18 ,2011. Winner will be chosen at random.org and will be given 48 hours before another winner will be chosen. All products for reviews and giveaways are given as a sample from the companies. All opinions in reviews I conduct are my own. I was not paid to say anthing or review any products. Previous Post Happy St. Patrick's Day and Happy Birthday Mom!! !